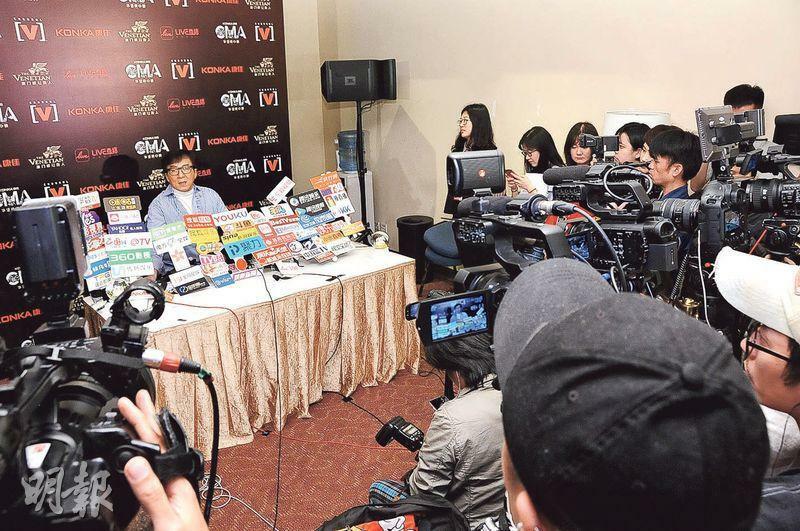 Jackie Chan denies that he was threatened and blackmailed, but says twice that he has nothing to be upset about. 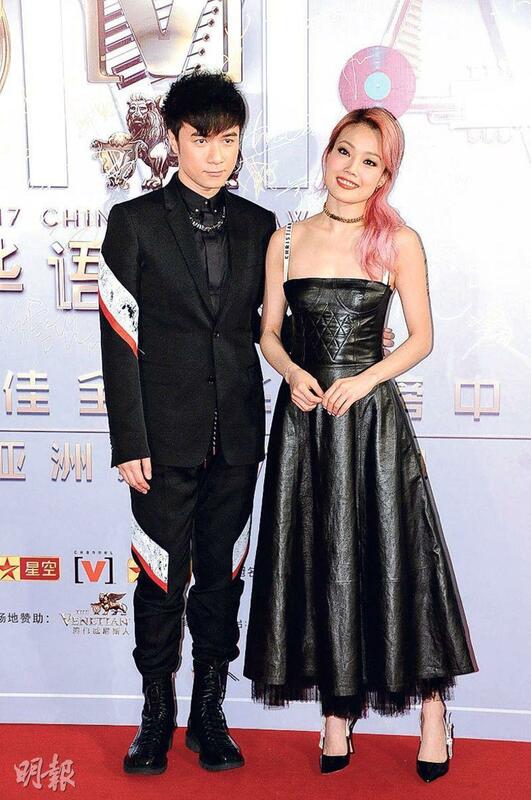 Leo Ku goes to Macau for the award and jokes that he has to make the late boat back to make a baby at home. 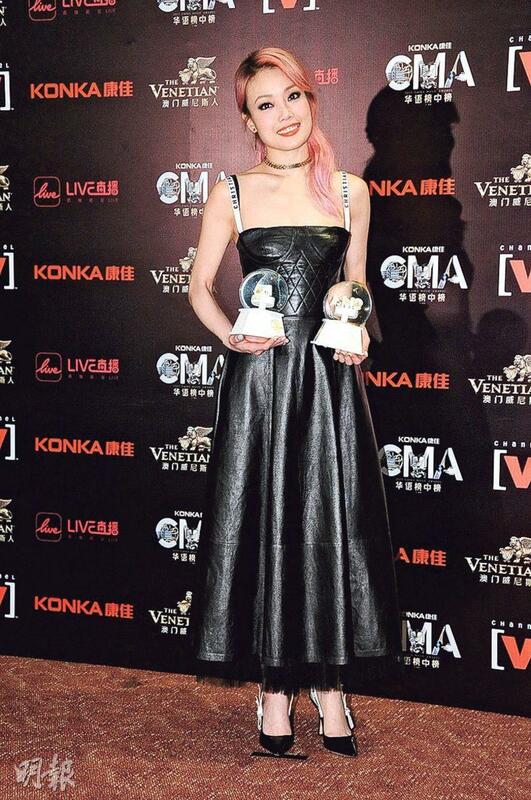 The 21st Channel V Global Chinese Chart of Charts and Asian Influence Awards presented 45 awards two nights ago. Almost all attending singers received 2 awards. 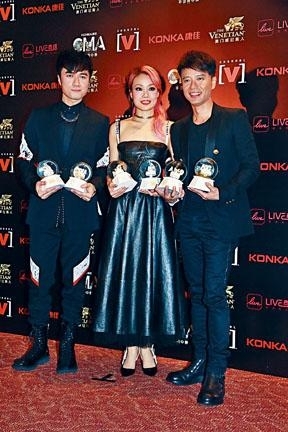 The Chart of Charts Best Male and Female Singer Hong Kong winners were Joey Yung Cho Yi and Hacken Lee Hak Kun. 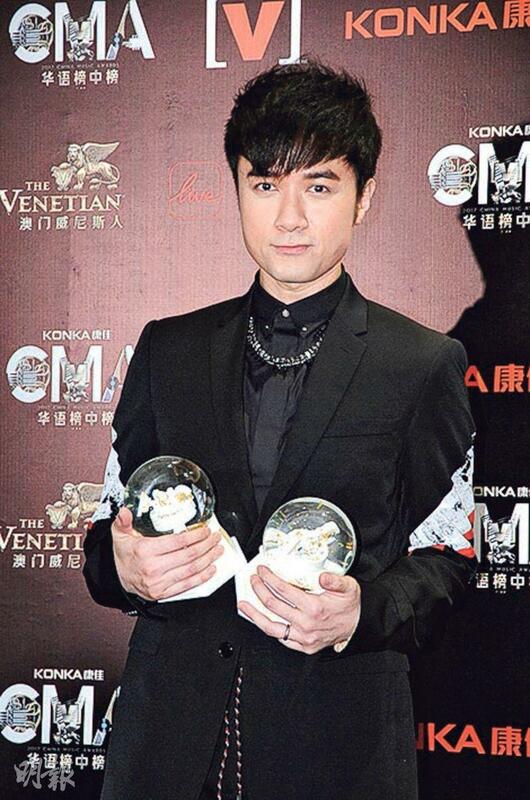 Jackie Chan received two awards. He stll had two panda dolls with him back stage. 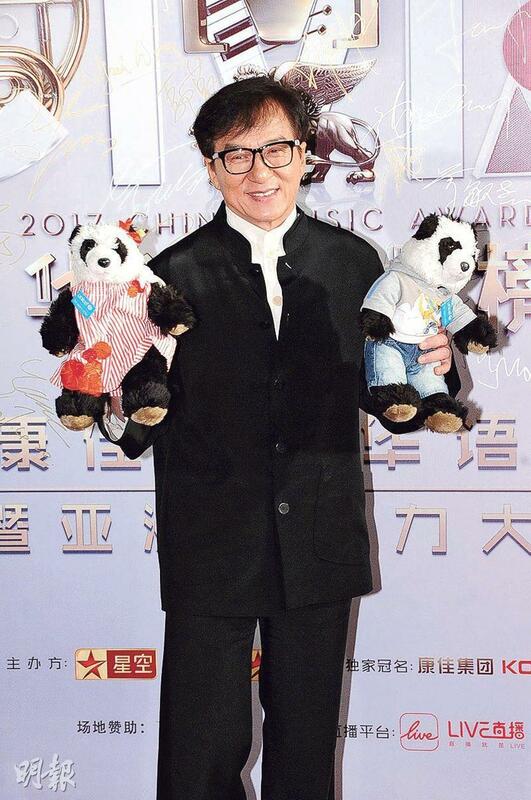 Jackie Chan said that he already wanted to auction them off after 5 years, but so far after 7 years he was still reluctant to part with them. 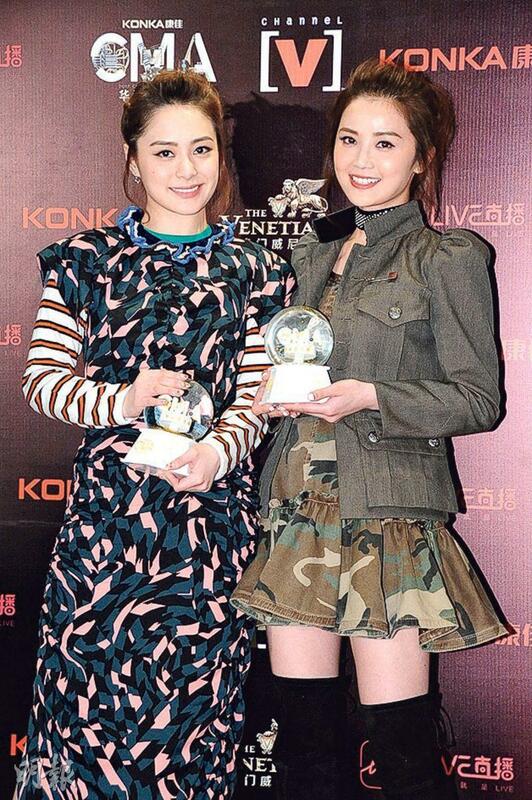 Someone offered 20 million yuan but wanted a celebrity photo collection with them. Jackie Chan's Clearwater Bay studio was put in emcumbrances due to trailer addition without authorization last year. Jackie Chan said, "Don't make a big deal out of something trivial. The matter is in the lawyers' hands. Because I am away from Hong Kong for long periods, sometimes it would be handed to others to make movies. I don't know about what they build. I didn't come back and look, but I know the matter will follow the law to the T. (Has any film production been affected?) No, I rarely make movies in Hong Kong. I want to, but Hong Kong has less sets and can't block off streets. If I use blue or green screen I would try to return to Hong Kong." 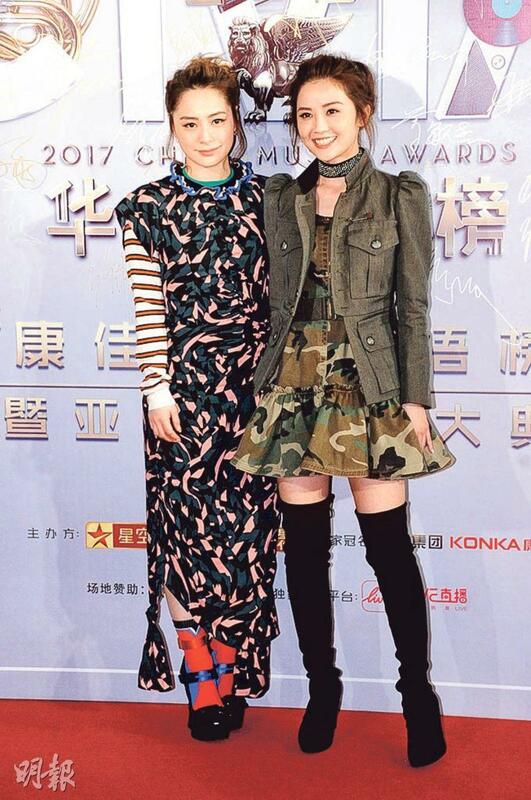 Jackie Chan became the focus after Elaine Ng Yi Lei and her daughter's relationship reached a new low. 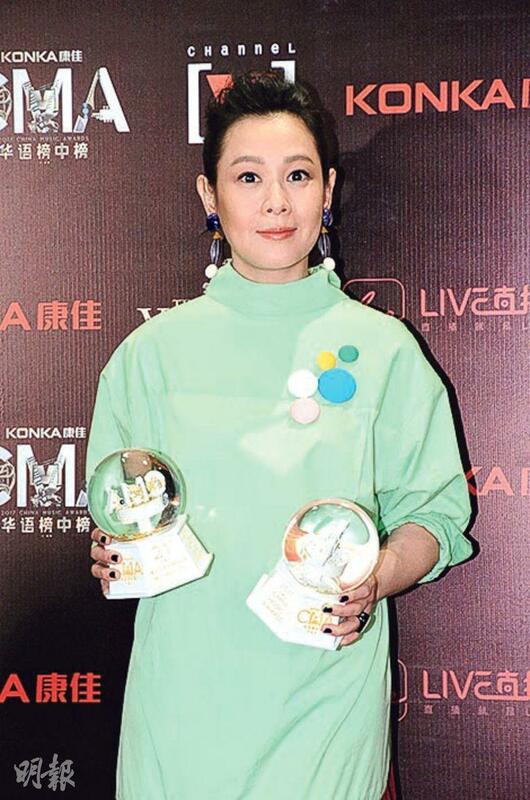 Earlier Ng Yi Lei held a press conference and said that she has never taken a cent from Jackie Chan to raise her daughter, which led to a strong response from Mrs. Charles Heung Wa Keung. She sad that Jackie Chan was loving and loyal, revealing tha Jackie Chan has cried in front of her many times. 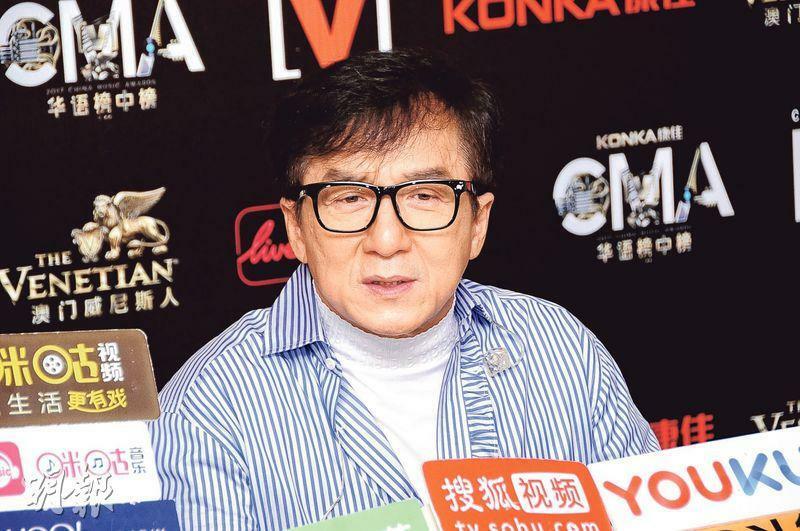 Jackie Chan spoke about the issue for the first time. 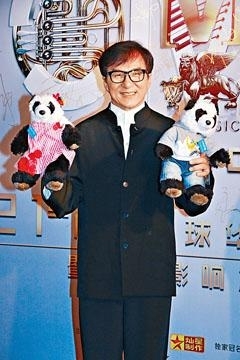 Speaking of Mrs. Heung's support, Jackie Chan said, "I haven't read about it yet. I don't read gossip so I have a lot less trouble. (Mrs. Heung said that you cried in an embrace with her?) Thank you. (Have you read the news about Cheuk Lam?) I don't read gossip, I don't go online, that way I would have a lot less problems. Now I am focusing on movies and myself." Was he upset that the past was brought up again? Jackie Chan said, "No, now what would I be upset about? (Aren't you afraid that you would be affected?) It would be like that for the rest of my life, always." Mrs. Heung said that Jackie Chan was threatened and extorted. Jackie Chan avoided the subject. "People are waiting back there." He took a few steps before turning around and said, "Now I don't have much to be upset about. I even won an Oscar, what else do I get to be upset about?"